19 year old Nigerian homeless man has been arrested in Italy for killing a 60 year old woman. 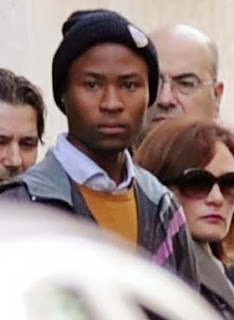 Nwajiobi Donald strangled Caterina Susca with a plastic bag over her head in her home in Bari, on Monday November 11th. Unknown to him, a neighbor took his pictures as he left Susca’s house after the murder. 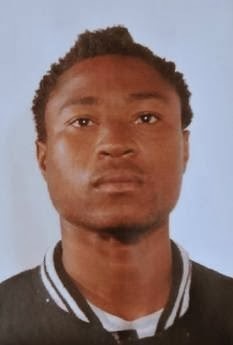 Nwajiobi Donald confessed to the murder on November 14th after he was arrested by police who confronted him with numerous pieces of incriminating evidence collected in the hours immediately following the crime. Reports had it that, the victim was found semi-naked with a plastic bag over her head and her skull crushed in. Donald killed the woman in self defense after she attacked him with a pair of scissors in her home. Nwajiobi Donald, who is homeless, claimed he met the victim on the morning of the incident and asked her for food; the lady asked him to follow her home with a promise to give him something to eat only to attack him but investigators believe Donald was trying to steal from the woman and when caught in the act, attacked and suffocated her with a plastic bag after beating her up. Police say some money and a phone was stolen from the deceased.